Say hello to the all-new and improved 2018 Ford Focus. It’s been a family favourite for 20 years, and this fourth generation model gets a sharp new look, a roomier and more premium cabin as well as an updated engine line-up. 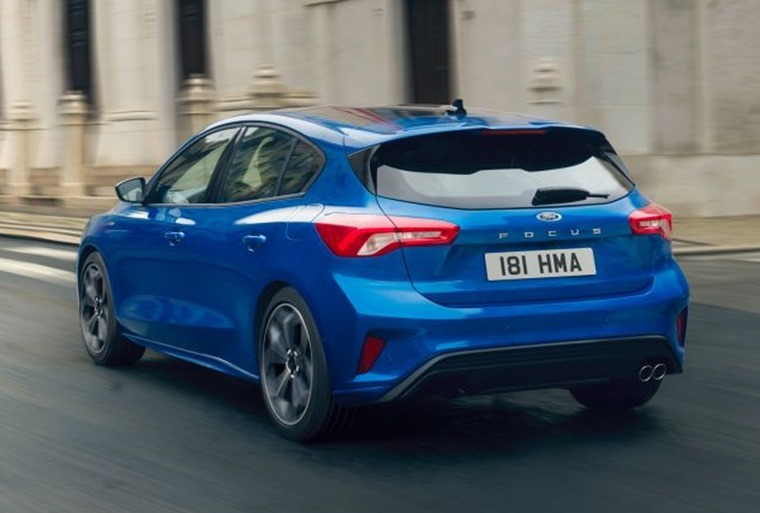 On the outside, the new Focus has been thoroughly reworked and borrows its styling cues from the new Ford Fiesta, although from the front you could be mistaken for thinking it’s nothing more than a refresh. The grille and air intakes are smaller, but the main change is the more angular headlights that benefit from a new LED lighting signature as well as a longer bonnet that help give the car a more imposing stance. Changes at the sides and rear are more comprehensive, with Ford aiming for a much more athletic appearance. Its side profile is smoother than before, with the lack of rear-quarter windows giving it a cleaner look than before. The vertical tail lights have been ditched in favour of a wide, horizontal set too – a big styling departure from previous Focuses. 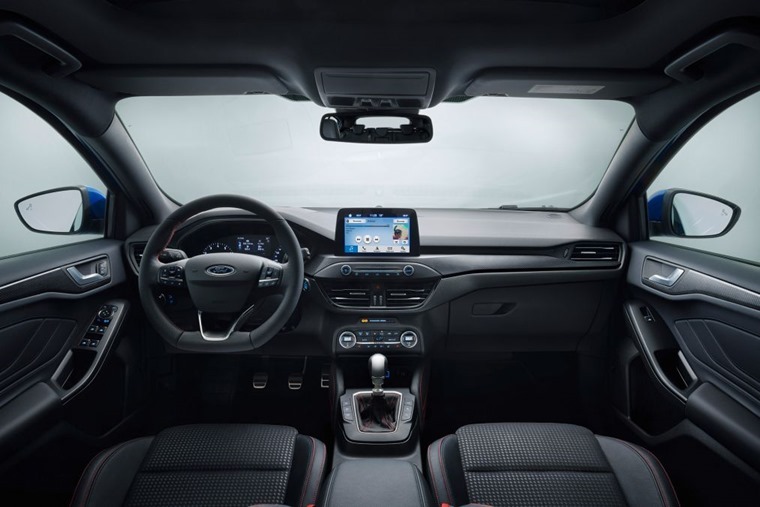 Similarities with the smaller Fiesta continue on the inside, where you’ll find a completely overhauled, simplified dashboard that incorporates Ford’s latest Sync3 infotainment system. There’s much fewer buttons than before – a common complaint of the outgoing model. Premium materials have been used throughout, giving the interior a more upmarket ambience than its predecessor. Also helping with the premium feel is extra space – there’s a larger boot (size tbc) and a host of new storage space has been freed up in the front, too. ST-Line, Vignale, Titanium and Active trims are set to feature in the line-up. Exact specs to be confirmed, but different variants will come kitted out with individual styling options. 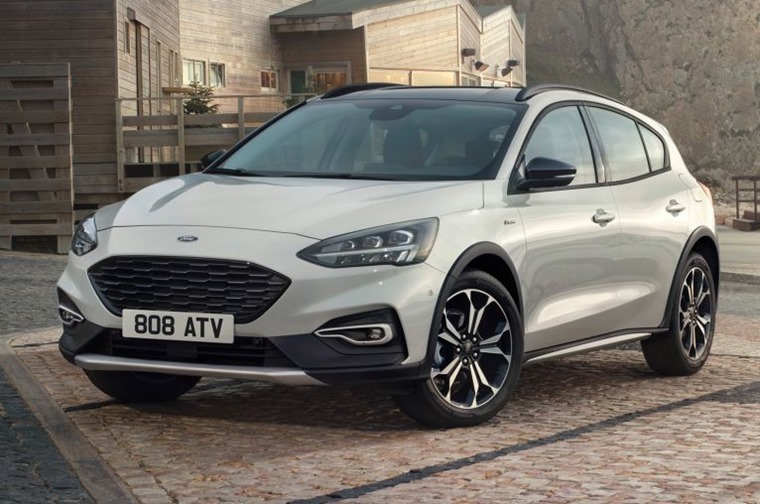 For example, you can expect ST-Line cars to feature sports seats and larger alloy wheels, while the crossover-like Active model (pictured above) gets a rise in ride height and some chunky black exterior trim. Two petrols and two diesels will be on offer from launch, with the petrol offerings both made up of Ford’s latest three cylinder EcoBoost engines. A 1.0-litre version will be available with 84bhp, 99bhp and 123bhp respectively, while a 1.5-litre produces 148bhp and 179bhp. The diesels are essentially updated versions of Ford’s current 1.5- and 2.0-litre units. 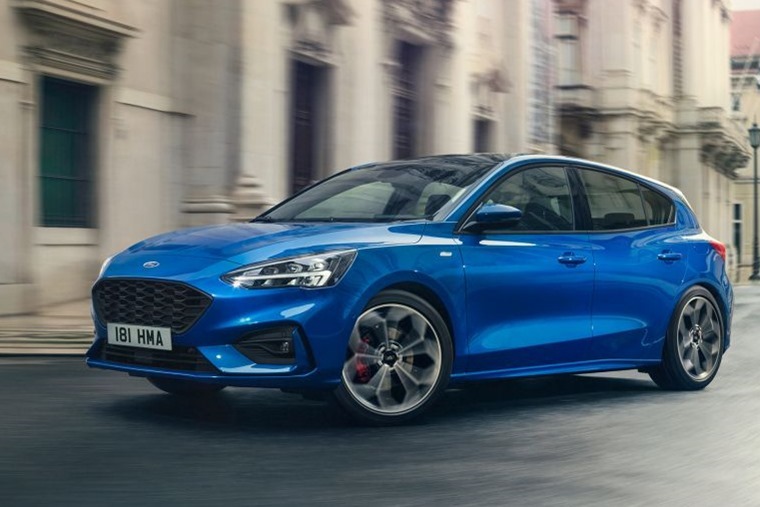 According to Ford, efficiency has been improved by up to 10% across the range, with the 1.0-litre petrol expected to emit 108g/km of CO2, while the smaller diesel will emit just 91g/km. All engines will be available with a six-speed manual or an all-new eight-speed optional automatic. The latter now benefits from a rotary controller in the centre console rather than a traditional stick – this frees up space and further adds to that more premium feel. 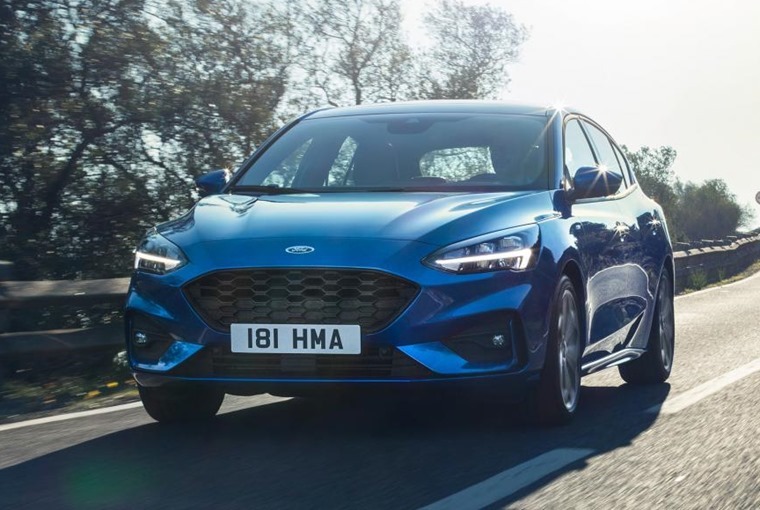 The Focus has gained a reputation as one of the best driving hatchbacks out there, and Ford will be keen to keep this accolade. 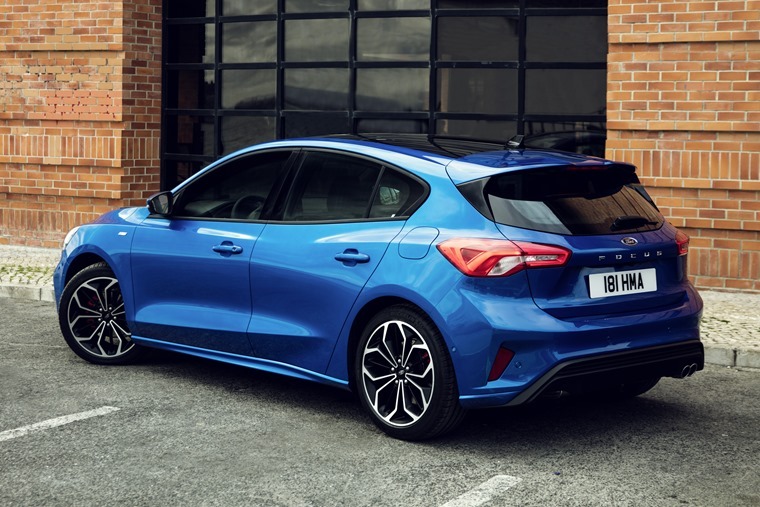 Details of any new ST and RS models are yet to be confirmed. We’ll bring you full prices and specs of UK cars as soon as they’re revealed, but if you can’t wait for the new model, why not check out these deals on the current version for less than £200 per month.